Booking one of our wonderfully cheap Leeds Bradford airport hotels is an easy way to get a headstart on your holiday for less than you might expect, and you can make bigger savings by booking in advance with HolidayExtras.com®. Were committed to giving you the best price and by booking early you can save up to 40 per cent on the standard price. Not only that, our Best Price Guarantee means you know youll always pay the lowest price around. Its such a simple way to save even more money on your stay because youll almost always pay less for the same airport hotel when you book early. Its all because hotel prices are dependent on availability, the earlier you book the fewer bookings the hotel has so you get the lowest price. Whats more, pre-booking gives you the peace of mind of knowing that everything is sorted and all you have to do is enjoy your holiday. We offer two fantastic hotels at Leeds Bradford airport and were sure youll love them both, especially when you see our prices. If your main priority is a hotel as close to the terminal as possible but at an affordable price, the Britannia Leeds Bradford Airport is perfect for you. 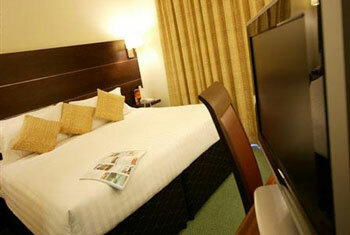 Its a 3-star hotel with a distinctly modern style and which offers everything you need for a pleasurable stay. The rooms are contemporary and the impressive range of facilities includes a swimming pool as well as a bar and restaurant where you can ease into your holiday in style. The Ramada Parkway offers beautiful elegance whilst maintaining the alluringly low price. This chic hotel is stylish but also warm and welcoming. With a swimming pool and whirlpool at your disposal youre sure to find it a luxurious way to start your holiday. 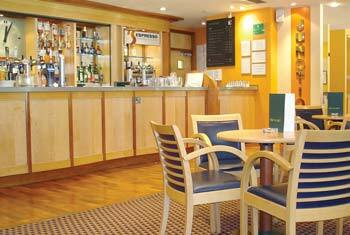 Also on offer is a range of excellent dining options. The modern restaurant serves both delicious evening meals and hearty breakfasts that are designed to send you on your way wholly satisfied.